Customers on walgreens.com were looking for a more straightforward way to compare prices, ingredients, and other features across products. 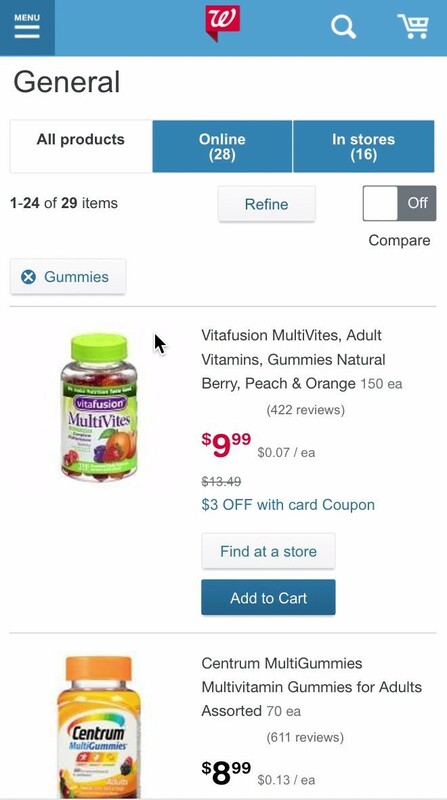 The current way to get certain information was on a single-item basis, clicking back and forth between the product listing page and the details page. 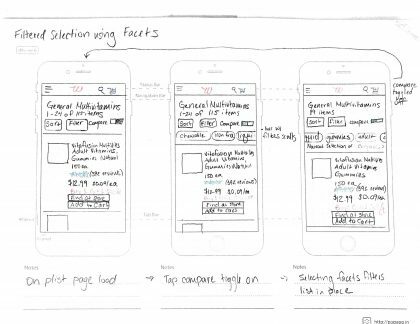 One more challenge was that this was to be a project that could showcase the UX team’s adoption of a mobile-first design strategy. 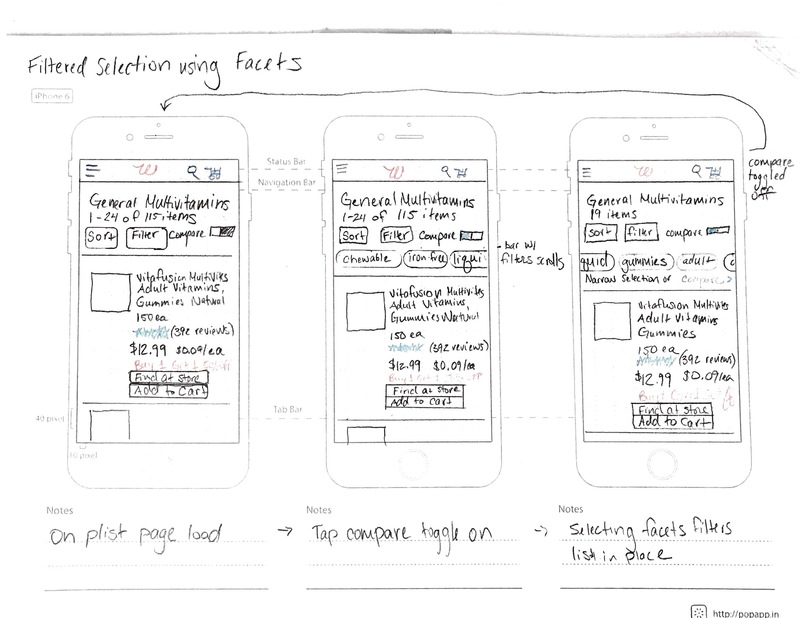 I was the primary UX designer on this project, responsible for organizing and conducting concepting sessions, creating sketches of concept options, and creating wireframes and defining interactions once a concept was chosen. I used a combination of competitive analysis and customer survey feedback to create the initial concept options. 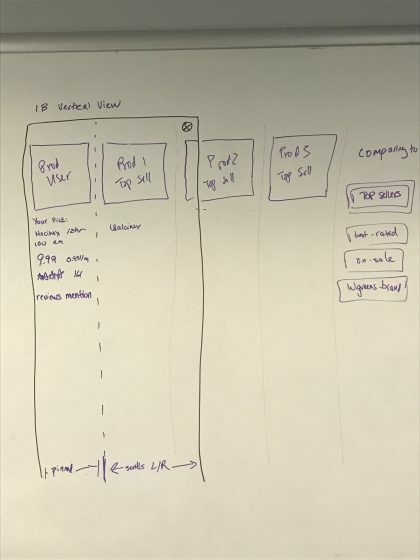 Based on some initial brainstorming sessions with our user research and mobile app teams, I focused on making the process of selecting products to compare as easy as possible. 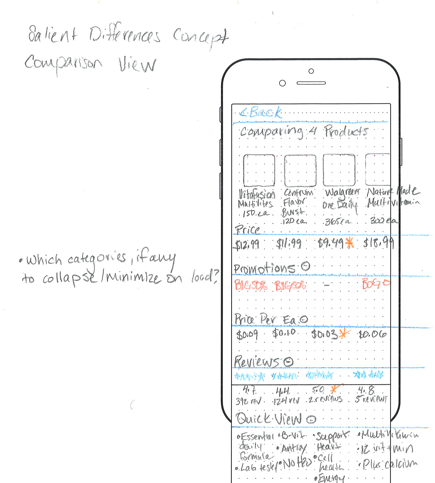 Working through some initial ideas – showing a filter by facet concept. Another initial idea – display products with significant differences highlighted. 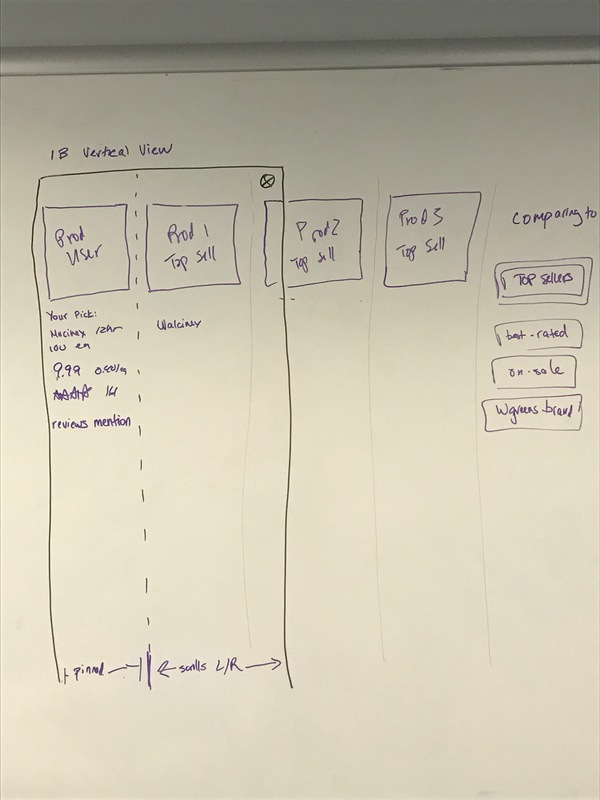 I created this grid to help guide the decision about which version of each step would make the most sense in the overall flow, in a discussion with other UX team members and our director. This displays just a small part of the wireframes I created, but shows how different states of item selection would work on a product listing or search results page. Product comparison went live in April 2017. 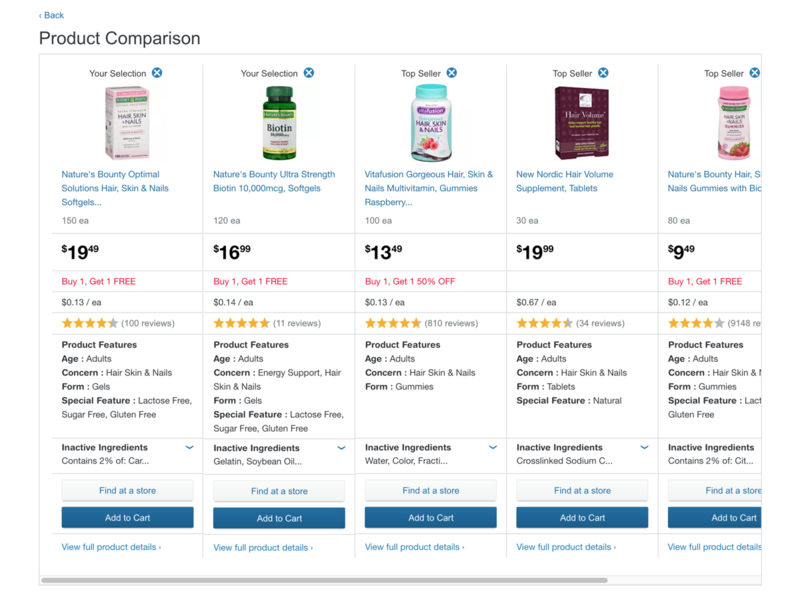 The design that I launched includes a feature that is called “Quick Compare”, which is unique to Walgreens. 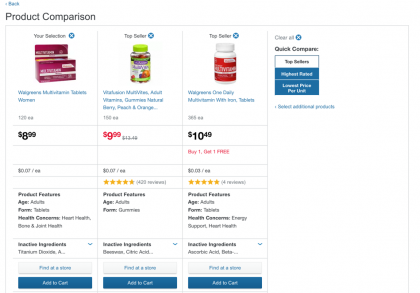 If a customer just wants to quickly see a product of interest compared to the top selling items, or the best rated based on customer reviews, it only takes the click of one button to populate the grid. A view of a comparison grid on the live site. The product features field was created to be flexible, reflecting the availability of product data in the catalog.